An interactive flaming portal, a giant disco ball suspended 20 feet in the air, and a flamethrower chandelier. 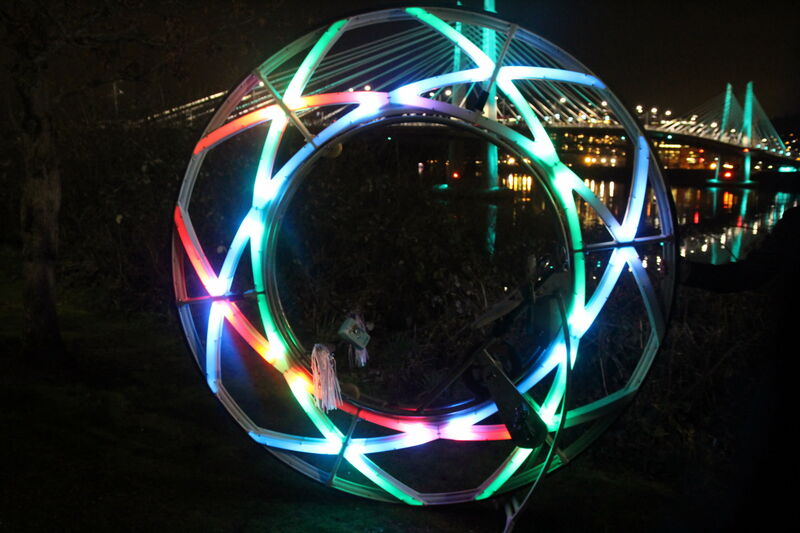 These are just some of the luminous creations for 2019’s festival, where some 80 artists’ work populates Portland’s outdoor spaces to light up the city. Check website for full list of locations.